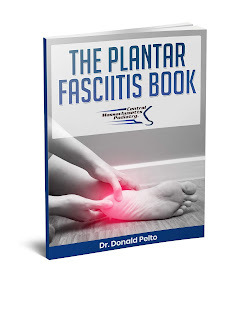 Dr. Pelto's Blog: When does my bunion need surgery? When does my bunion need surgery? A lot of patients come in asking me this question, or they have sent me emails asking me about exactly when they should get bunion surgery. 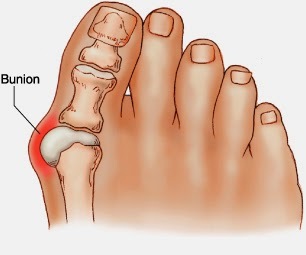 Bunions, first of all, don’t always hurt and they don’t always need to be treated with surgery. Many patients that come in initially, when I look at a bunion, it may be very large but it’s not painful, so we don’t have to do anything to treat it. If it is painful, though, there are different types of treatments. So my main distinguishing factor is looking at, first of all, pain level. If it’s painful then we will consider it; if they have also tried wider shoes and other types of pads that can help it, but I also like to look at their age. If they are under the age of, for example, 15 or 16 and their bones haven’t totally healed at the growth plates, I will have them wait until they get a little bit older. Also, you have to look at how old a person is. If someone is 70 or 80 and they have poor blood flow or high risk of complications of surgery, we also would not want to do surgery for that type of patient.